1. 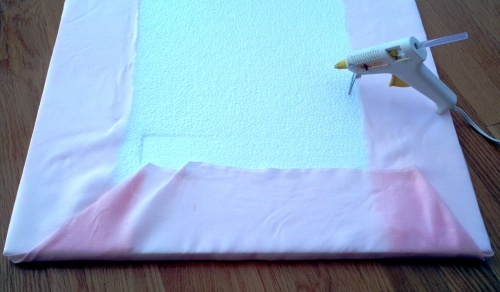 Cut fabric several inches larger around than your Styrofoam boards. I didn't use a ruler; just estimated about 4-5 inches wider on each side and cut. 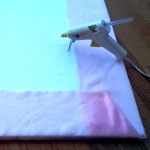 If the fabric is wrinkly, iron it. 3. 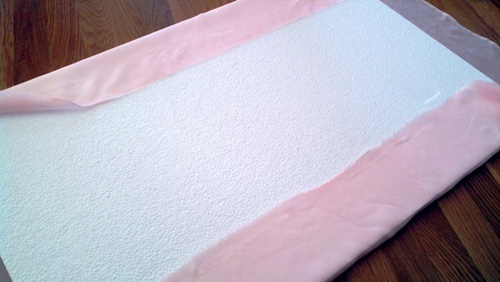 Fold the short ends as you would when wrapping a present and glue the fabric edges to the back of the board. And you're done! 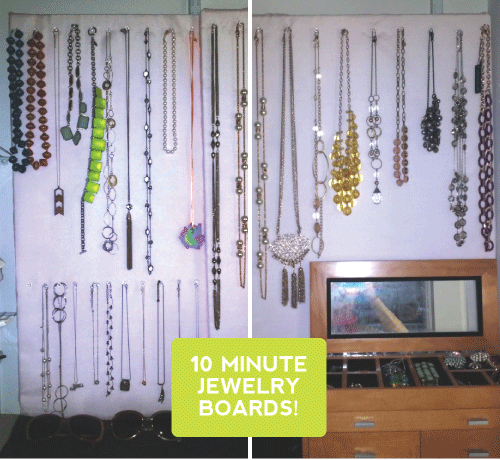 I created two jewelry boards and overlapped them (one was two narrow for the space and two, too wide). I used clear push pins and created a top row for long necklaces and a bottom row on one of the boards for shorter ones. You could also use push pins and ribbon to run a line for earrings. I am utterly thrilled with the result, not to mention that it took me 10 minutes to put these boards together! See where those two pairs of sunglasses are sitting, at the base of the boards? That's where all of my necklaces (plus a bunch of other crap) were piled. I wish I had taken a before picture! 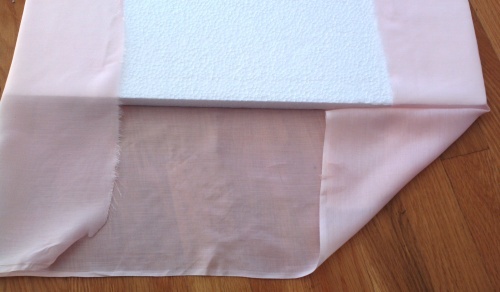 There are two even larger Styrofoam boards that came with the furniture packaging. I'm planning on using the same approach as above to render an easy way to display Laurel and Violet's artwork, or as inspiration boards in my office. And I'm psyched that I don't have to break down the Styrofoam (cue sprays of Styrofoam bits flying everywhere) to fit into my recycling bin!